Monster Armor mod- This mod allows you to make the armor that will give you new strength. They will constantly change depending on the selected armor. 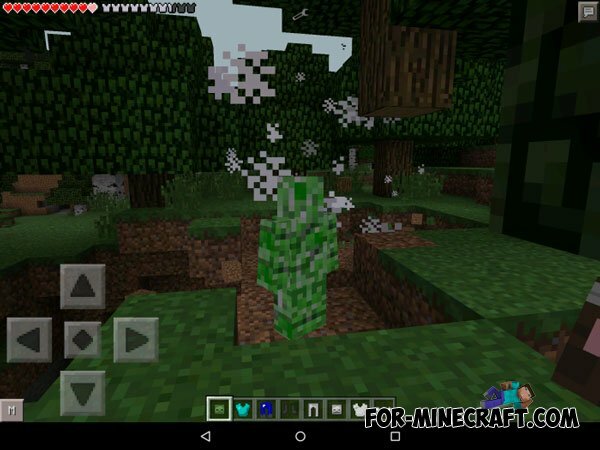 If you dress a the armor of the skeleton, then you will have the properties to shoot of infinite arrows, and dressed the armor of creeper, you'll be able to cause an explosion of your enemies, as does the creeper. Has the same protection as the diamond armor. When you're doing yourself a zombie armor, you automatically lose all the zombies in 5 hearts. 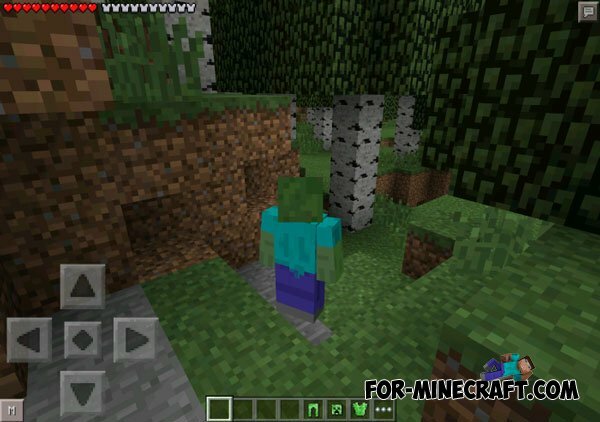 You can increase its influence on the mobs, making only their armor! Armor of the skeleton is not as reliable as other the armor, it takes 5.5 armor points. The main advantage of this armor is that you can shoot by endless arrows in the game, if you hit on the ground bow or arrow. It will protect you through its explosion. Armor is only 7.5 armor and that will be enough. To make an explosion, just hit the ground and the ground will explode! This armor will give you the ability to teleport around the world as Enderman! To teleport, just click the cursor to the place where you want to be.